I was lucky enough to be on an airplane at sunset as I travelled to the midwest for Thanksgiving this year. My wife wasn’t so lucky – she had the window seat! 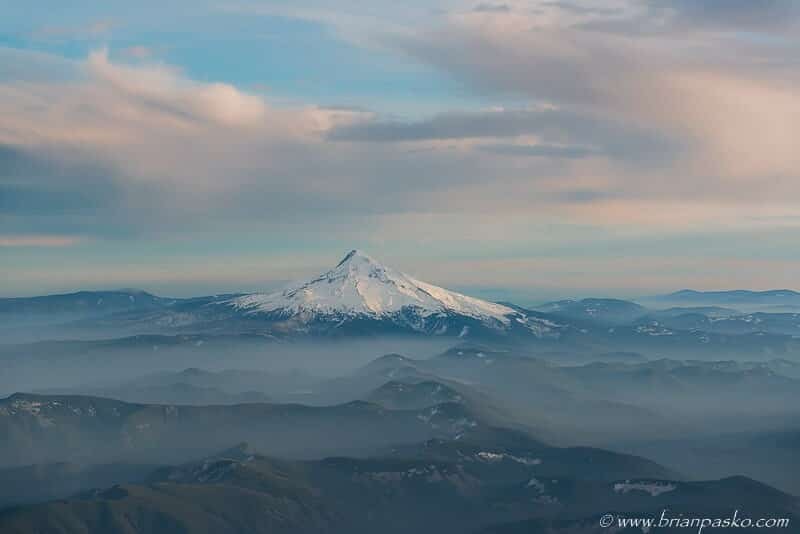 I was sprawled across her lap somewhere high above the Columbia River Gorge as I shot this image of Mt. Hood out the airplane window. (Click on the image to see a larger version).